ABOUT: A mean lord exiles fairytale creatures to the swamp of a grumpy ogre, who must go on a quest and rescue a princess for the lord in order to get his land back. LIVE MUSIC: Visit www.streetfoodcinema.com/shrek/ for the most current Live Music listing! 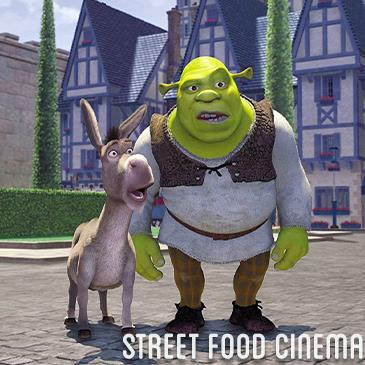 FOOD TRUCKS: Visit www.streetfoodcinema.com/shrek/ for the most current Food Truck listing!